Ask for advice. Being granted the chance to share knowledge and wisdom is a great lift to an older adult’s self-regard, and there’s undoubtedly a lot we can learn from older adults. Find small ways during the day to ask the older person’s advice on how to make a perfect pan of lump-free gravy, how to prevent the draft from coming in under the windowsill, how to soothe a cranky baby, etc. Request hands-on assistance. As in-home caregivers, it’s our duty to help older adults with various needs, but we also realize the value of allowing seniors the opportunity to undertake helpful duties as well. It doesn’t have to be a significant task to provide a feeling of meaning. Pay attention to the senior’s cognitive and physical limitations, and ask for help accordingly. For example, someone who is confined to a wheelchair can sit at the table and help with cooking and baking related tasks, polish silverware, or sort tools in a toolbox. Verbalize your respect. While you might suspect the older adult understands how you feel, it’s a great feeling to be told how much we mean to one another. 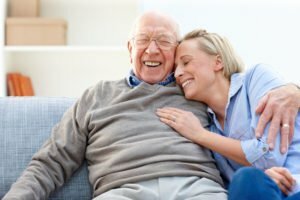 Take time to express specific ways the older person has helped you in some way and how much you appreciate that help, from being taught to ride a bike or drive a car, to parenting skills, to the ability to paint or draw or carve wood. Be sincere in your compliments, and speak them often from your heart. A trained in-home caregiver, such as those at Hired Hands Homecare in Sonoma, Santa Rosa and the surrounding area, is experienced in maintaining the delicate balance between providing care for seniors and improving their sense of purpose and allowing for senior independence. Contact us to learn more about our companion care services or to arrange for a free in-home personalized assessment for your senior loved one.